Sick of replacing your igniter every year? The Igniter Source is your answer. 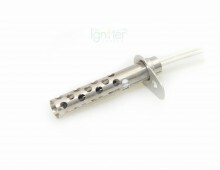 We supply premium hot surface igniters for furnaces, water heaters and gas dryers in North America. Sick of calling the repair technician every year? The Igniter Source is your answer. 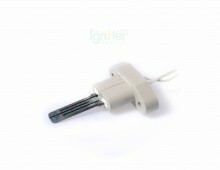 We supply premium hot surface igniters for furnaces, water heaters and gas dryers in North America. The two most common problems with hot surface igniters are breakage and premature burnout. Now they are problems of the past. 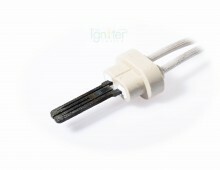 With our optional Silicon Nitride igniters, a new CSA approved technological breakthrough in hot surface igniters (HSI). Silicon nitride is virtually unbreakable and, most importantly, it lasts longer than the old style silicon carbide igniters. No more hassle of replacing your igniter year after year. No more expensive visits from the repairman at 2 o’clock in the morning. Only the highest quality hot surface igniter for the most important home out there … yours. Just match your existing igniter from the pictures in our Products section or the part numbers in our Replacement Guide, and you are ready to go. 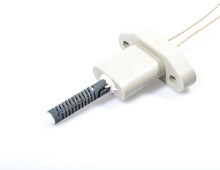 Our silicon nitride igniters are functional or exact drop-in replacements. They install and function the same way as your old igniter … only better. Please feel free to contact us at any time with questions or comments you may have about our products, services or website. Please use the online Contact Form we have provided for this purpose. Copyright © 2007-2011 The Igniter Source, Inc. All Rights Reserved.